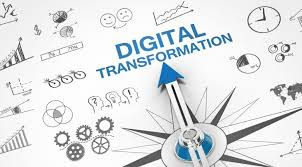 Digital Transformation is gaining priority for organizations across the globe, the main drivers being the opportunities it presents and the competitive pressure to stay ahead of the digital curve. Banks and other organizations need to go beyond offering customers a product or a service and own the experience instead. This was the highlight of Trivandrum Technopark-based SunTec’s event - ‘SunTec Confluence’, held in Dubai. SunTec, the leader in relationship-based pricing and customer experience orchestration, hosted its flagship event, ‘SunTec Confluence’. The theme for this year’s Confluence was “Digital at the Core”, an essential strategy in today’s world, as leading organizations seek to digitally transform, modernize their legacy systems and build a new core that is intelligent, immersive, integrated and invisible – one that can help in creating highly personalized customer experiences.The event was held in Palazzo Versace Dubai, one of the world’s only two Versace owned hotels, near the scenic Dubai Creek and now the world’s topmost digital city. The key takeaway from the event was the growing need for organizations to focus on the ‘Customer Experience’part of their Digital Transformation programs. Replacing the core is not a viable option for most banks and this is a big hurdle for modernization projects – but not anymore. The SunTec product session demonstrated how banks can adopt a simple approach of Hollowing the core and separating the customer engagement layer to leap-frog the customer experience ladder.This simple yet highly effective strategy enables banks of all types, to exponentially increase their customer experience orchestration capabilities.